Heather Gladman has walked from a Victorian court basically a free woman after sentencing in a high-profile medical marijuana related case. In February, Ms. Gladman’s property near Sale in Victoria was raided by police. 46 cannabis plants were reportedly found, with some up to 150cm tall. She was charged with cultivation and possession related offences. 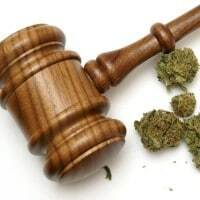 Ms. Gladman asserted that her activities were not carried out for profit – she had been supplying medical marijuana to terminally ill patients for free; something she had been doing for quite a while. While avoiding conviction and jail, she will need to carry out 60 hours of community service. The ordeal hasn’t dented Ms. Gladman’s resolve – she’s as determined as ever to see cannabis provided to the terminally ill.
“I’m just going to continue to write to the Government and try and convince the Government to legalise cannabis for people who are dying now, not in 2017. It’s too late,” she said according to ABC News. In the lead-up to the case, Ms. Gladman’s plight saw a significant amount of public interest. A petition was started on her behalf and she appeared with her co-accused on The Project. At one point, Ms. Gladman went on a hunger strike for 18 days to draw attention to her call to the Victorian Premier to provide amnesty to compassionate growers until the government is in a position to supply organic cannabis to patients. Since the time of the raid and the court appearance, the Victorian Government has been making progress. It has legalised medical cannabis, announced a $28.5 million related funding package and provided the first sneak peek of its trial crop; which is being grown in a secret location. However, medical marijuana based products will initially only be made available to children with drug resistant epilepsy next year – and that’s very little comfort to the terminally ill who are in pain and could benefit from cannabis medicines right now. The state’s Independent Medical Advisory Committee will advise the Victorian Government regarding the expansion of eligibility to include other patient groups. If and when that will include terminally ill patients is unknown at this point in time.